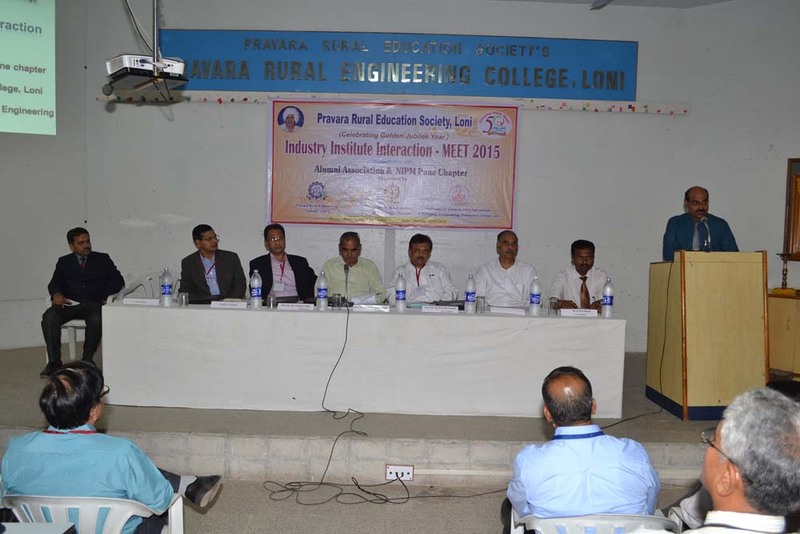 It is our great pleasure to put forward T&P report of 2016-2017 of Pravara Rural Engineering College (PREC), Loni. The institute has well qualified, devoted and dedicated team of staff. Quality education is provided to students to meet challenges of globalization with state of art equipment and laboratories. We are confident at PREC, industries would find candidates meeting their requirements in practically every field of interest to their organization. It will be our pleasure to present our training and placement report in front of you. The Training & Placement Cell provides all audio visual facilities for presentations, conferences, written test, group discussion and personal interviews. After confirmation by the company, a pre-placement talk and interview can be arranged on a mutually convenient date. If a company desires to hold online tests for the candidates, the arrangements will be made in the computer center on prior intimation. Up to 100 students can take up the test at a time. We have energetic and dynamic team working in training and placement cell under the guidance of our Principal Dr. Y. R. Kharde. 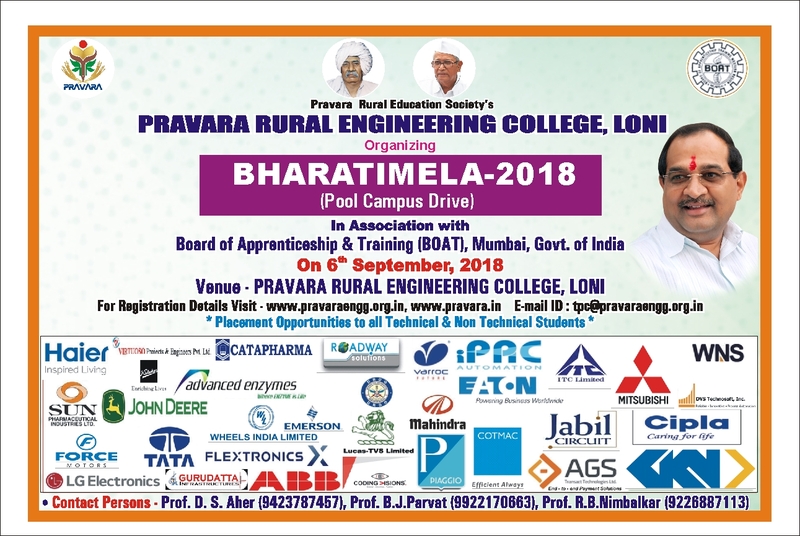 With the same spirit in order to tie-up with industry around the region we started developing our local placement cell under the guidance of Principal & Myself. The T & P Cell ensures that each and every student of the Institution gets an opportunity to be selected for placement in the suitable industries. They are trained and groomed to face the sufferings arising out of selection exams and interviews. We aim at building a complete personality in our students, professionally, socially and morally. The residential campus helps us in achieving this goal by providing academic liberty to innovate and come out with novel ideas. We assure that the industries will be benefited from these young and dynamic minds. It gives us immeasurable pleasure to report that around 131 students have been selected during in campus and off campus interviews in 83 different Industries for 2017 batch even before they have appeared for their final semester exams. Following Activities are performed under T&P Cell. Career guidance talks from Corporate/Renowned speakers. Workshops and Seminars on Technical, Aptitude, Interview-handling skills and Interpersonal Skills. Special Training program on communication, soft skills and aptitude for campus recruitment process to develop students to increase their employability skills. Personality development sessions, Organizes pre-placement talks, mock tests etc. 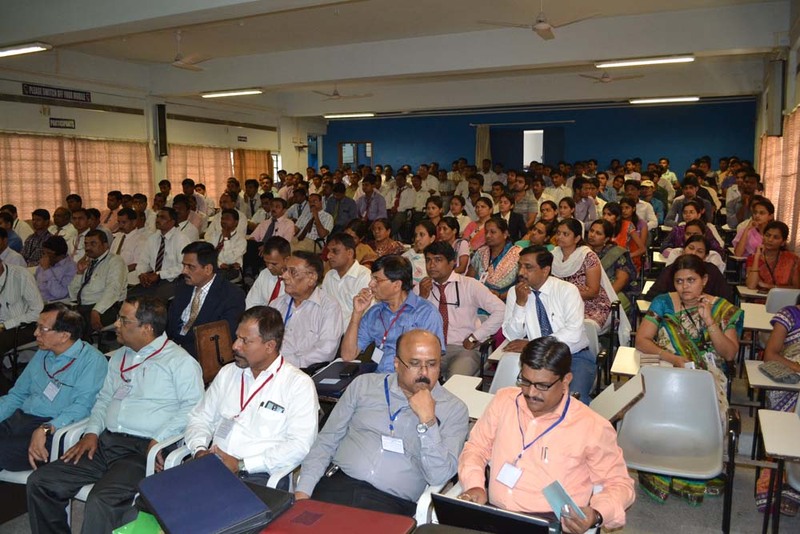 to prepare students for final selection process. Arrange Industrial visits, live projects from industries, internships for the students. Invite corporate companies for on campus recruitment process of final year students. Scheduling campus visit for companies. Organizing HR meet. The Placement Cell acts as a catalyst by concentrating on actions that enrich the students’ career development and employability. Post selection process coordination between student and company. More Companies will be added very soon….. 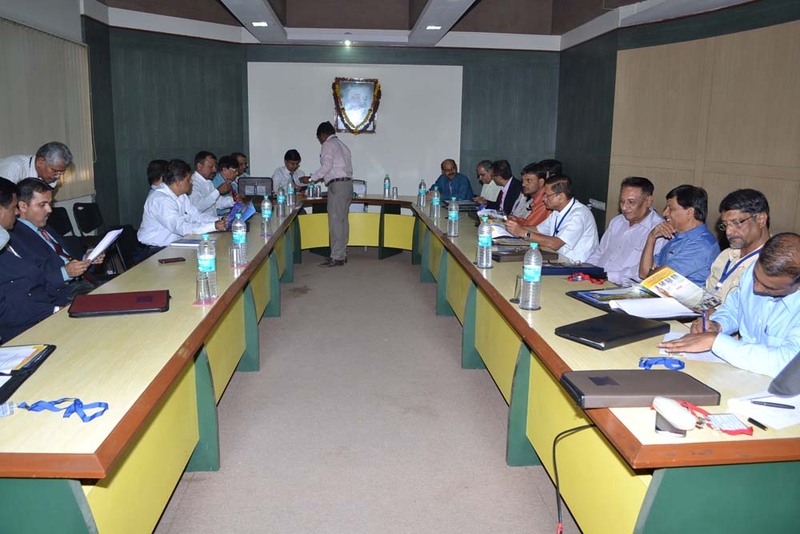 Advisory committee consisting of Training & Placement Officer with senior professors from various departments co- ordinate the related activities. Invitations are sent to various companies for Campus interviews. The TPC initiates industry institute interaction. The cell organizes regular well-planned industrial visits with special college bus. The cell assist students in GATE examinations. The students are guided to appear for the various competitive examinations conducted by UPSC, MPSC, Army, Navy, Air Force for engineering and Administrative cadre. 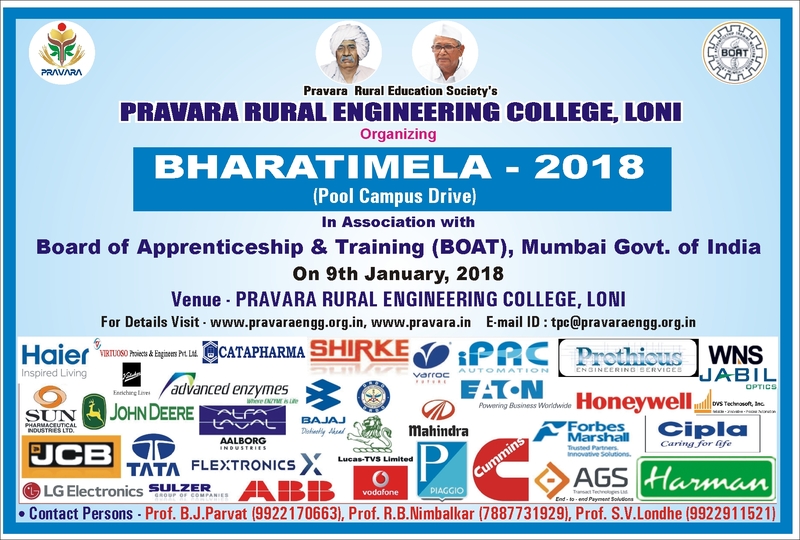 Alumns of the college are working in India and Abroad in the prestigious companies like Microsoft, Tata Group, Toyo Engineering, IBM, Reliance Group, N.PC.L.lndia, Army, Navy, DRDO, Air Force, Gammon lndia, SKF Bearings, Satyam Computers, Siemens, Atlas Copco, TCS, Patni Computers to name a few. Memorandum of understanding with more than 30 reputed Industries.